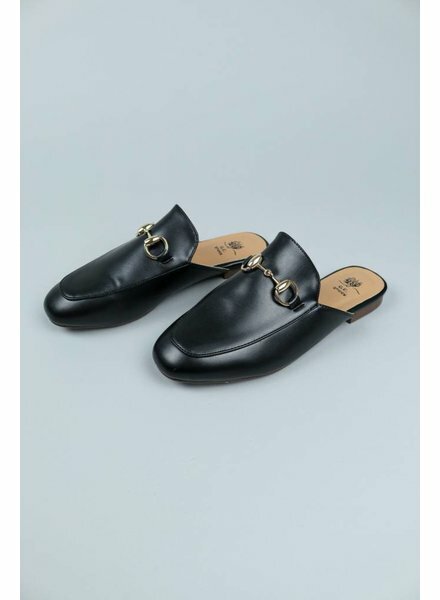 A fancy loafer-slide adorned with a horse bit ornament. 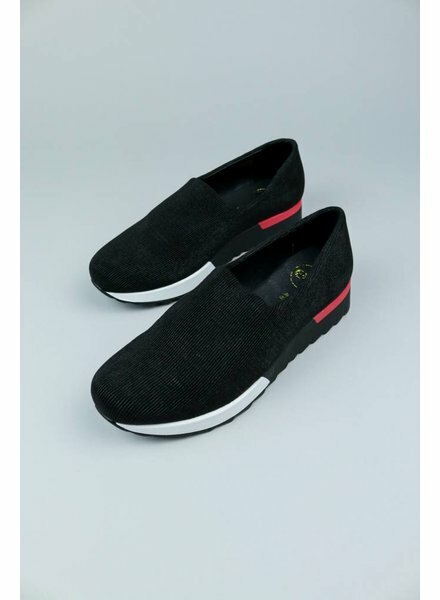 Made of artificial leather outside and inside fabric, features soft bottom leather. 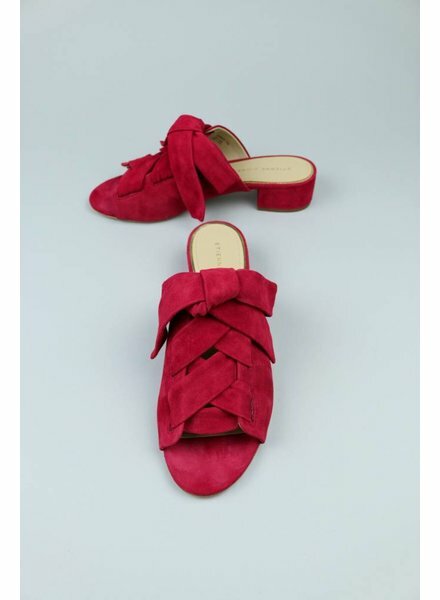 Available in Black and Cherry, this soft lace tied into a bow at the vamp of a sleek block-heel slide is the perfect day to evening wear shoe. 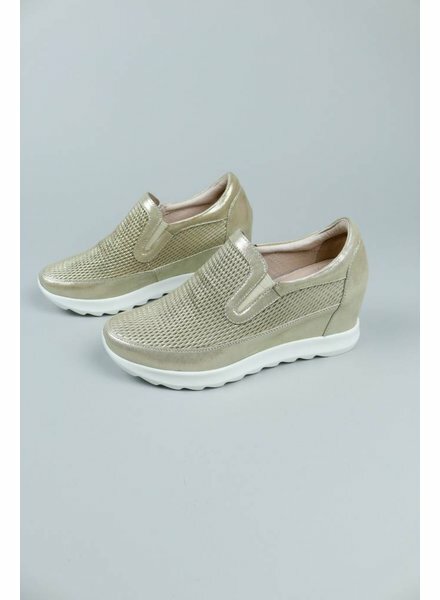 Slip On Sneaker By BoNaVi features a hidden wedge, white rubber sole and metallic gold accents.